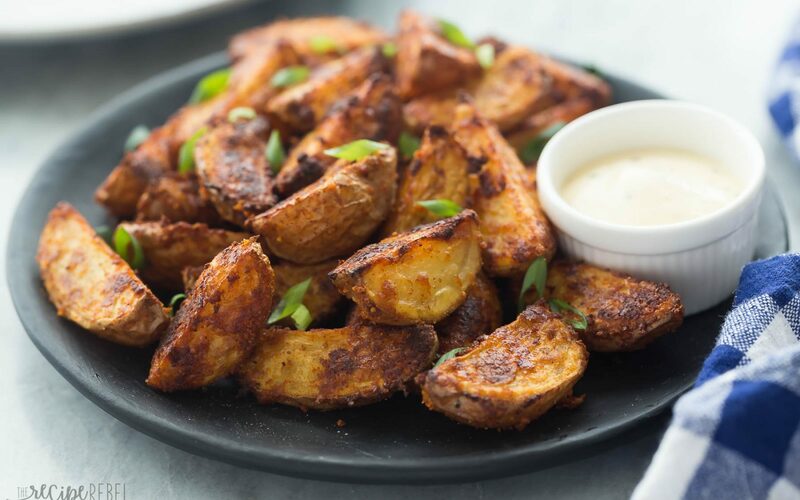 These Chipotle Parmesan Potato Wedges are so easy to make—just toss potatoes in some oil and spices, bake until crispy, and serve! Perfect for a game day appetizer or dinner side dish. Quarter Little potatoes length-wise and place in a large bowl. Add oil, chipotle pepper, Parmesan, and seasoning salt and stir until evenly coated. Arrange in a single layer on a baking sheet and bake for 20 minutes. Flip each wedge and bake another 5 to 10 minutes until golden on both sides and tender in the center. Sprinkle with green onions and serve with Ranch dressing if desired.